Vice President – Strategy, DaVita Inc.
Senior Manager, Bain & Company, Inc.
Mary Kowenhoven is the COO and Strategist for GeneralCounselWest, PC. As COO, she oversees administrative and operational functions including recruiting, bookkeeping/finances, 401K plan administration, health plan administration, and other insurance management duties. She also provides strategic consulting support, including the creation and facilitation of bi-annual strategic planning sessions for the firm, as well as guiding the synthesis and communication of legal insights for business purposes across clients. Prior to joining GeneralCounselWest, Mary founded CorporateStrategyWest, an independent strategy consulting firm focused on small and mid-sized companies. CorporateStrategyWest’s mission is to help these companies achieve profitable and sustainable growth, by providing access to top tier strategy consulting. She continues to operate this practice through GeneralCounselWest. 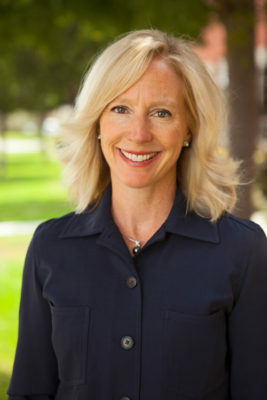 Before going out on her own, Mary served as Vice President of Strategy for DaVita, a Fortune 500 company and leading Healthcare provider of kidney care services (dialysis, pharma, education, vascular access, disease management) for patients suffering from Chronic Kidney or End-Stage Renal Disease. While at DaVita, Mary was responsible for Corporate Strategy development and communication, which included addressing the most critical strategic and operational issues within the current business portfolio and evaluating new business opportunities. In a shift to build in-house strategy expertise, she established an internal Strategy team, reporting directly to the CEO. Before joining DaVita, Mary worked for Sugarbush Resort – a year round ski & golf resort in Vermont, as Vice-President of Sales, Marketing, and Strategy. Prior to taking on this leadership role, Mary worked on a consulting basis with the CEO and senior executives to conduct a comprehensive Strategic Review and create a turnaround plan to return the resort to profitability. Mary began her strategy consulting career at Bain & Company, one of the premier global business consulting firms with 53 offices in 34 countries and over 5000+ consultants. She worked in the Toronto, Los Angeles, and Sydney offices over her eight year tenure on both Growth Strategy and Operational Improvement/Turnaround projects. Her clients spanned multiple industries, including Healthcare Services, Aerospace, Transportation (Airlines and Rail), Technology & Telecom, Financial Services, and Forest Products. Prior to consulting, Mary was a Product Development Engineer for The Boeing Company. Mary received her MBA from Georgetown University in 1996 and was elected into Beta Gamma Sigma Honors society. She graduated with Honors from Princeton University in 1991 with a Bachelor of Science in Aerospace Engineering. She was awarded the George Bienkowski Memorial Prize for outstanding academics and service to department and the Donald Janssen Dike Award for excellence in undergraduate research. During her time at DaVita and Bain, Mary led MBA & Analyst Recruiting. She was also instrumental in initiating and developing Women’s programs while at Bain. She has been an active trainer and guest lecturer on Presentation Development. Mary’s passions include off-piste skiing, trail running, piano, and cooking, but most of all spending time with her family doing everything or nothing at all.